BHP Infrastructure is proud to announce the introduction of the dry process and dust proof BAZER DS100 sand manufacturing plant that can produce up to 100 TPH of sand of required specification. BHP Infrastructure has brought together over twenty five years of experience in crushing, screening and conveying to produce a truly revolutionary sand manufacturing plant that can manufacture specification grade sand without dust pollution and without the need for washing. The Bazer DS100 has a production capacity of up to 100 TPH (depending on feed material and gradation) and can take feed up to 50 mm of lump size. 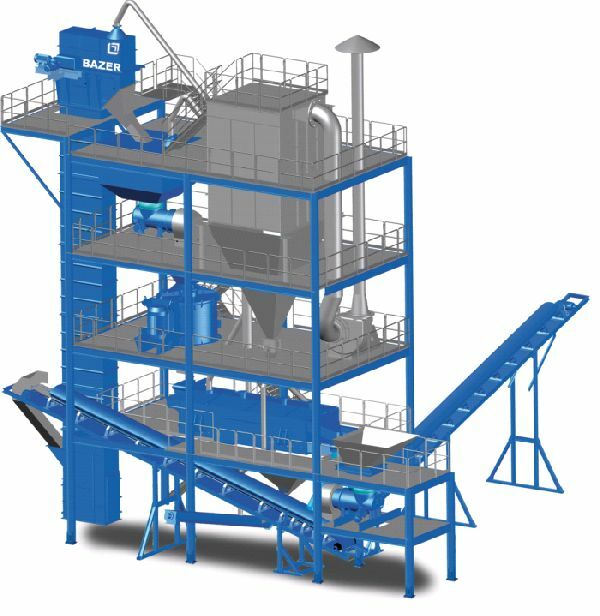 The plant can be added to an existing crushing plant or can function as a stand alone plant.